ST. PAUL, Minn., May 16, 2018 – The Board of Trustees of the Minnesota State Colleges and Universities has named Robbyn Wacker to serve as president of St. Cloud State University. The appointment becomes effective July 1, 2018. Dr. Wacker is an experienced administrator and a tenured professor with a reputation for leadership of strategic initiatives, encouraging innovation, and advancing student enrollment, retention, and success. She has served the University of Northern Colorado (UNC) since 1990 in several capacities. From 2011 to 2017, she served UNC as provost and senior vice president for Academic Affairs, where she worked to ensure the academic excellence of the institution and was responsible for developing and implementing a clear academic vision, aligning academic policies and priorities, and managing a $173 million budget. In this role, she led a variety of strategic initiatives that included developing a program plan for a state-funded, new academic building, the first in two decades; creating an initiative to fund innovative ideas for new programs; supporting new initiatives for research and creative works; forming international partnerships; and implementing strategies for increasing student engagement and advancing campus diversity and campus climate. 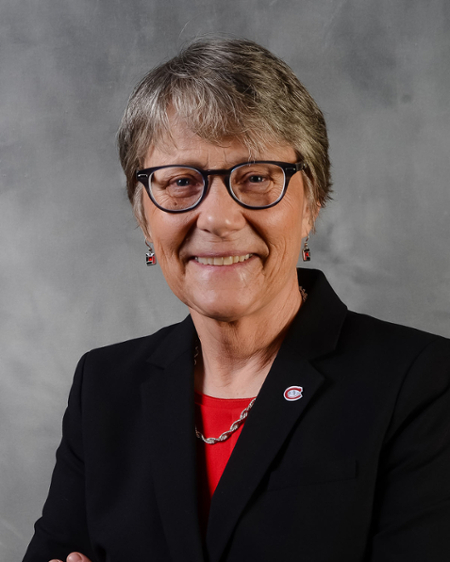 She also served UNC as an assistant vice president for graduate education, research and sponsored programs, and extended campus from 2005 to 2011, and as dean of the College of Health and Human Sciences from 1996 to 2005. In these roles, her accomplishments included leading strategic planning efforts such as the university-wide process to create the academic strategic plan, expanding graduate and international education, providing leadership for bachelor’s, master’s, and doctoral programs, and launching three new research centers. She currently serves as senior campaign advisor in the UNC Office of Development and Alumni Relations. In this role, she provides strategic support for a $45 million campaign -- the largest fundraising initiative in the University’s history. Wacker holds a doctorate in sociology from Iowa State University, and a master’s and a bachelor’s degree in gerontology from the University of Northern Colorado. She was selected by the Harvard Graduate School of Education to attend its Management Development Program for leaders in higher education, and she has completed the American Association of State Colleges and Universities (AASCU) Executive Leadership Academy. Dr. Wacker has co-authored three books and has published more than 70 peer-reviewed journal articles and book chapters. Dr. Wacker will succeed Ashish Vaidya, who, since 2016, has served as interim president of St. Cloud State University following the unexpected death of Earl H. Potter III, who had served as president of the university since 2007. St. Cloud State University serves the central Minnesota region with more than 200 academic programs and more than 14,000 students from 90-plus countries. The university is committed to preparing students for life, work, and citizenship in the 21st Century. At St. Cloud State, an education is about unlocking students’ unique potential to make a mark on the world and an impact on the lives of others. It’s about unleashing ideas, imagination, drive, purpose, and all that’s within you.